Green up your home or office with a an air purifying house plant planter. Introducing plants into your home or workspace will reduce your stress, increase your focus and improve your overall health. Do succulents need more light than you can give them? Are all of your bright light windows used up, but you want more plants? 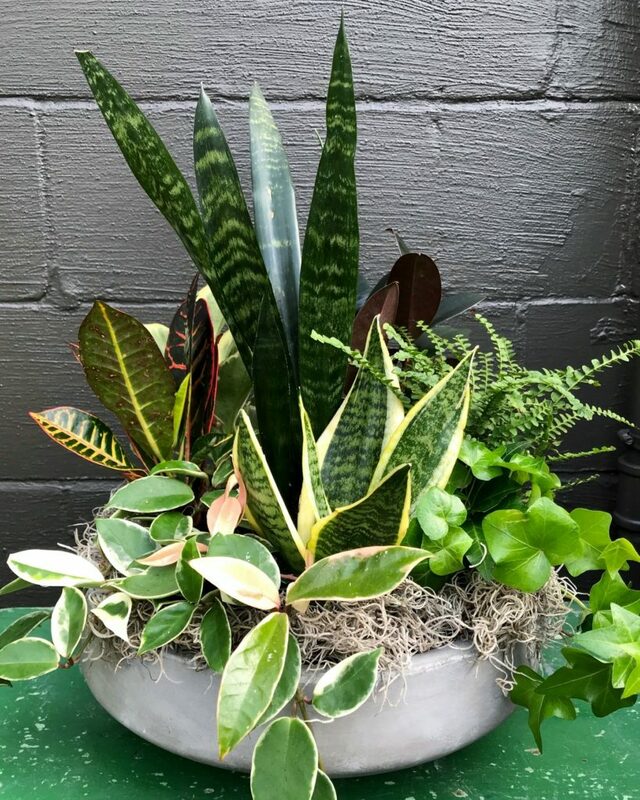 At this workshop, you can create a planter that will thrive on your island or coffee table. Join us for this hands-on workshop where you will create a centerpiece for your space. We will cover the basics of growing house plants and share different varieties and their care requirements. Then you will dig in and create. Your $19.99 workshop fee includes your 13” light concrete bowl, rocks, soil, moss, and instruction. House plants are additional. Not outside plants are welcome. Prepayment of the workshop fee is required to attend. Refreshments and snacks are offered for free. To sign up, call 330-836-2727 or visit http://bit.ly/grafsworkshops. 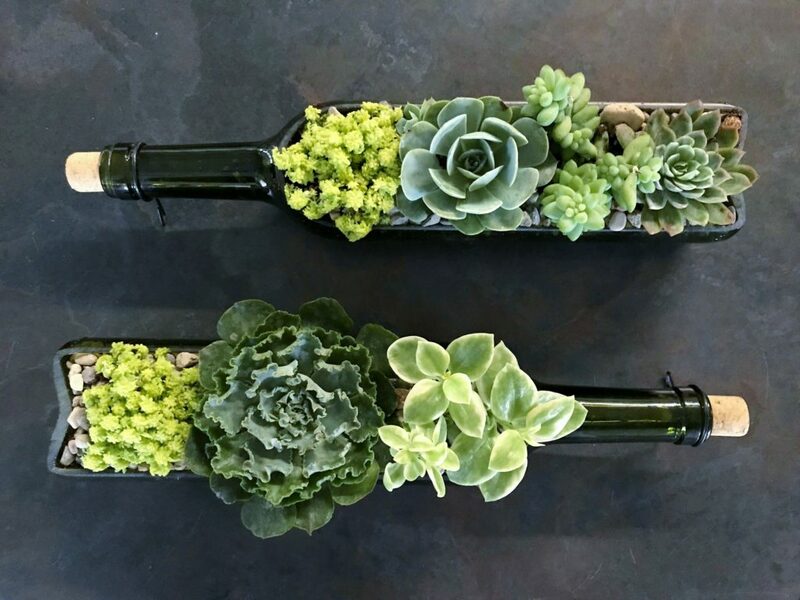 Come unWINEd with us at our Succulent Wine Bottle Workshop. Drink a glass of wine (or two!) and plant a succulent wine bottle! Learn how to create, grow and properly display your succulents. Warning: learning about succulents is addictive and may lead to excessive crafting, gardening and succulent purchasing! Succulents are sun-loving plants that are low maintenance, fun to grow and look fantastic in almost any place you put them! The $19.99 workshop fee covers your green 750mL bottle, soil, moss, instruction and tools. Succulents and cacti are additional. The workshop fee must be paid at the time of registration in order to hold the attendee’s seat. All supplies must be purchased at Graf Growers at the time of the workshop. Outside items are not allowed. Wine and snacks are provided for free. Already own a wine bottle from a previous workshop and would like to join us to plant it? Give Karlie a call at 330.836.2727. We can sign you up for the workshop at a discounted rate. Grab your friends or kids and join us to plant spring container gardens for your entryways! Find inspiration at this hands-on workshop where we will give you ideas for your cold tolerant containers that’ll look cheery and colorful by your door or front porch. A light breakfast will be served followed by a short talk about potting ideas. 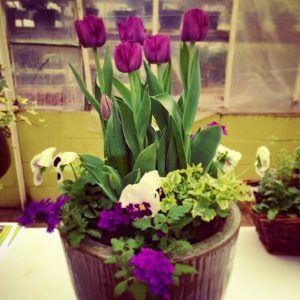 Then you will dig in and design your dream planters using hellebores, pansies, tulips, hyacinths and more. Bring your containers from home or treat yourself to new ones here. Want to make more than one container? No problem! All ages are welcome to attend. This workshop requires prepayment off the $15 workshop fee. The workshop fee includes instruction, soil, rocks and tools. Plants are additional. Breakfast is provided for free. Outside plants and accessories are not welcome. To reserve your seats, call 330.836.2727 or visit http://bit.ly/grafsworkshops. Join us to create a living piece of art for your home or office! 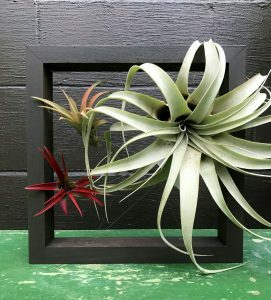 Grab a friend and come design, stain and make an air plant frame that can be hung up on a wall or sit on a desk or end table. If you are looking for low maintenance plants that do not require too much effort, than look no further! While you sip on wine and enjoy locally made treats, learn about air plants, their care and easy ways to keep these tropical plants thriving and growing! Then the hands-on creating will begin. The $24.99 workshop fee includes your frame, mounting wire, staining or painting materials, embellishments and instruction. Air plants are additional. No outside plants are welcome. Prepayment of the workshop fee is required to attend. Drinks and snacks are offered for free. Questions? Email orders@grafgrowers.com! To sign up, visit bit.ly/grafsworkshop or call 330-836-2727. Decorate your home for Easter and spring with a one-of-a-kind piece that is sure to delight and catch the attention of your guests! 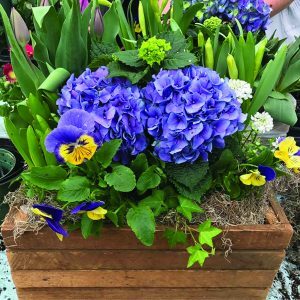 Sip on mimosas while you create a precious centerpiece or doorway welcome box with spring bulbs, pansies, hydrangeas, hellebores and more! We will inspire you with examples and show you how to style your piece to match your home and then the planting will begin. This workshop requires prepayment of the $24.99 workshop fee which includes your apple box, optional bow, potting soil, liner, moss and instruction. Plants are additional. Mimosas and locally made breakfast treats are provided for free. Outside plants are not welcome at the workshop. To learn more or to sign up for the workshop, visit bit.ly/grafsworkshops or call 330-836-2727. 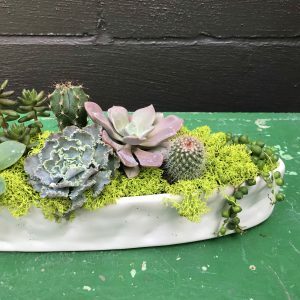 Join Karlie from Graf’s for this hands-on workshop that includes a brief overview of Succulents 101 including different types, care, best container options, watering and light requirements. 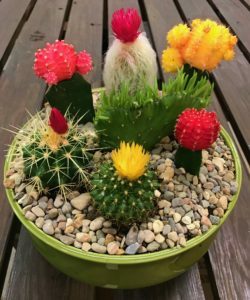 Karlie will then demonstrate how to create your own beautiful succulent bowl garden and walk you through the process. Not a crafty or plant person? Karlie will be there every step of the way to answer any questions and help out when needed. 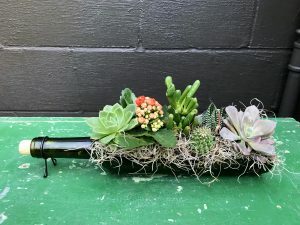 You will go home with a customized planter filled with succulents and all the info you need to keep them healthy and thriving. Bring a friend, enjoy drinks and let’s get our hands dirty! This class requires prepayment of the $15 workshop fee. Your workshop fee includes your instruction, soil, rocks, moss and other necessary tools. Bring a container from home or treat yourself to a new one here. If you are bringing one from home, we recommend that you bring at least an 8” pot so you can be more creative! The workshop fee must be paid at the time of registration in order to hold the attendee’s seat. No outside plants are welcome. Wine and snacks are provided for free. To learn more to sign up, visit bit.ly/grafsworkshops or call 330-836-2727. Come unWINEd with us at our Succulent Wine Bottle Workshop. Drink a glass of wine (or two!) and plant a succulent wine bottle! Learn how to create, grow and properly display your succulents. Warning: learning about succulents is addictive and may lead to excessive crafting, gardening and succulent purchasing! Succulents are sun-loving plants that are low maintenance, fun to grow and look fantastic in almost any place you put them! The $19.99 workshop fee covers your green 750mL bottle, soil, moss, instruction and tools. Succulents and cacti are additional. The workshop fee must be paid at the time of registration in order to hold the attendee’s seat. All supplies must be purchased at Graf’s at the time of the workshop. Outside items are not allowed. Wine and snacks are provided for free. Grab your friends or kids and join us to plant spring container gardens for your entryway! 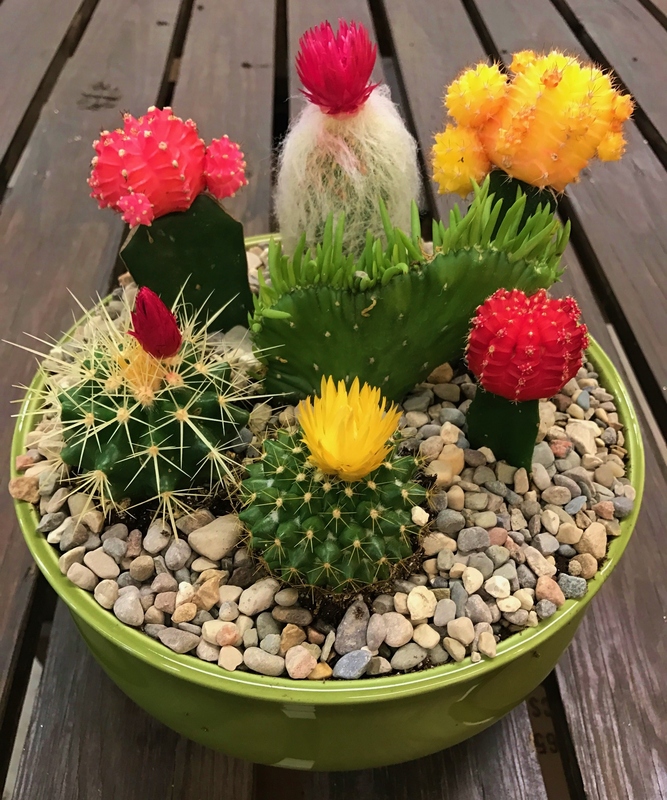 Find inspiration at this hands-on workshop where we will give you ideas for your cold tolerant containers that’ll look cheery and colorful by your door or front porch. A light breakfast will be served followed by a short talk about potting ideas. 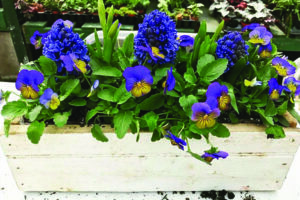 Then you will dig in and design your dream planters using hellebores, pansies, tulips, hyacinths and more. Bring your containers from home or treat yourself to new ones here. All ages are welcome to attend. This workshop requires prepayment off the $15 workshop fee. The workshop fee includes instruction, soil, rocks and tools. Plants are additional. Breakfast is provided for free. Outside plants and accessories are not welcome. 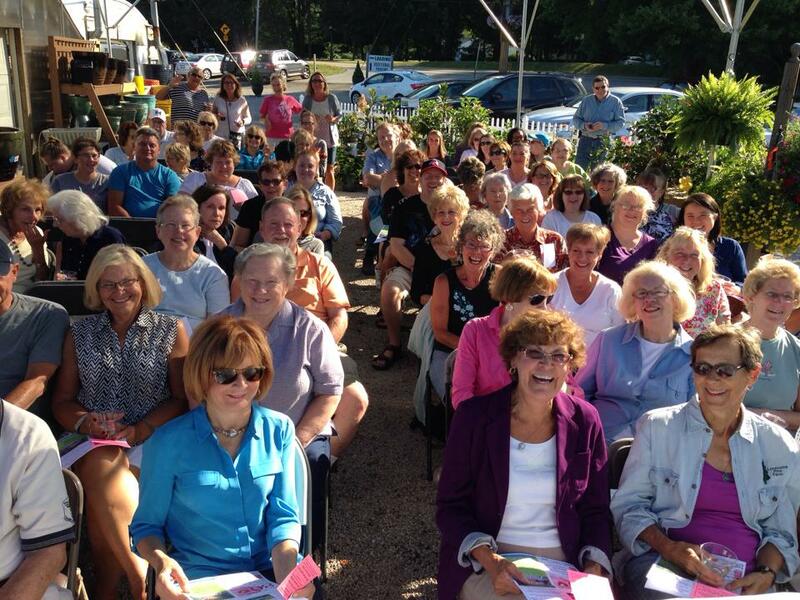 Grab a friend and join us fun an afternoon of succulents, wine and planting in the greenhouse! Bring your home to life with your own living wreath that can be mounted on an outdoor wall, front door or gate! 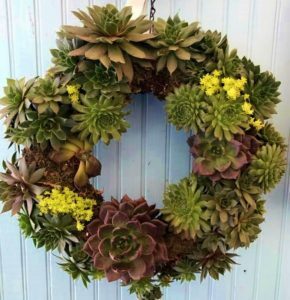 Grow a succulent living wreath in the sun or foliage focused wreath in the shade. From succulents to flowering annuals, we’ll suggest plants that will match your style, location and growing needs! Then the hands-on planting will begin. 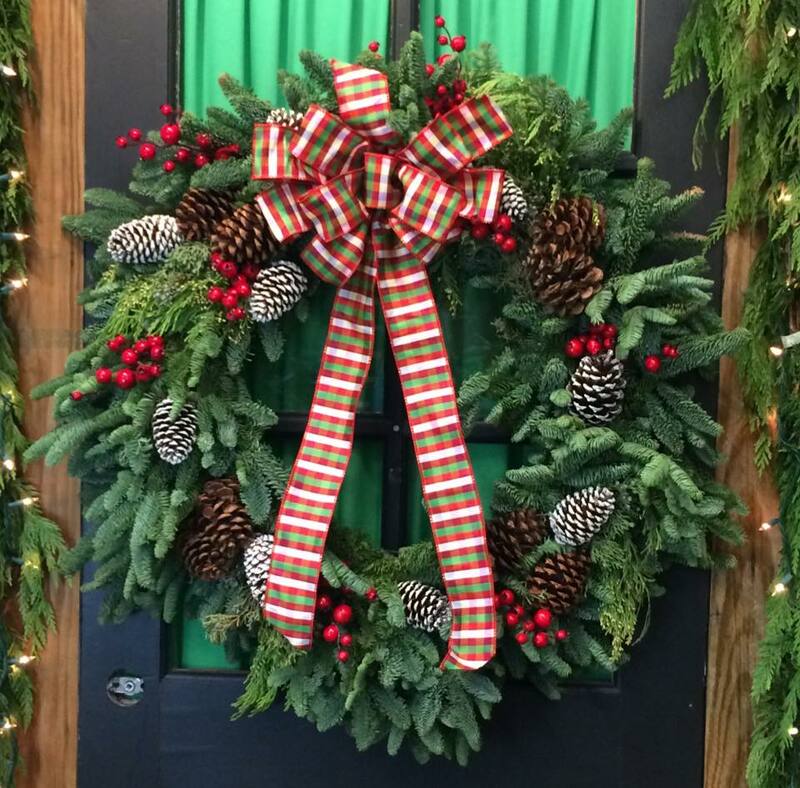 You will make a 16″ wreath. Pre-registration is required for this workshop. This workshop requires a prepayment of a $24.99 workshop fee. 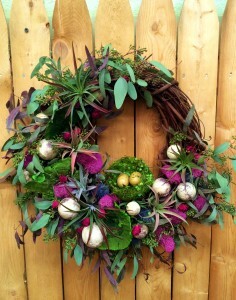 The workshop fee includes your wreath form, sphagnum moss, soil, instruction, and other tools needed. Plants are additional. Outside plants and accessories are not welcome. Drinks and locally made treats are provided for free. Spring is in the air and Easter is right around the corner. Join us to sip on wine and make a centerpiece that will bring the sights and smells of spring right to your table. We will inspire and show you ways to create your own piece using daffodils, tulips, hyacinths, pansies and more! Then you will pick out the plants that match your style and create a one-of-a-kind piece for your home. This workshop requires prepayment of the $24.99 workshop fee. 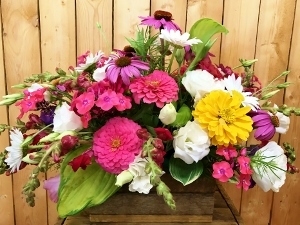 The workshop fee includes your 16” barnwood box, liner, soil, moss, rocks, instruction and other embellishments. Plants are additional. Wine and snacks are provided for free. Outside plants are not welcome. For more information or to sign up, visit bit.ly/grafsworkshops or call 330-836-2727.